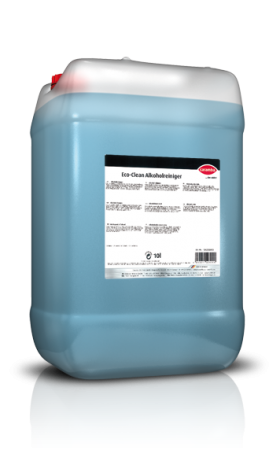 Mild alkaline, clear, green cleaner concentrate for a gentle, streak-free and crystal-clear cleaning of all smooth and washable surfaces. Removes even the most stubborn dirt of any type, such as oils, fats, nicotine, soot, wax, soap, ink, insects, etc. 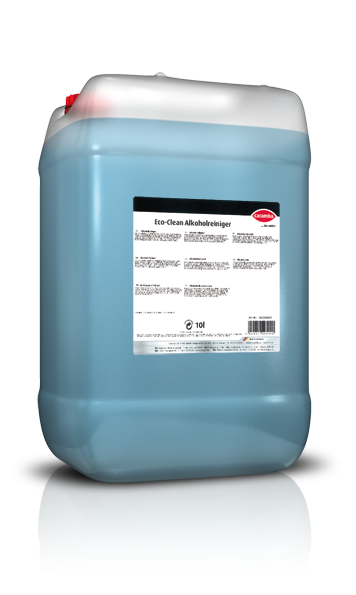 Depending on the extent of soiling add 50 ml to 150 ml alcohol cleaner into 10 litres water. Use this cleaning solution to wipe the surfaces as usual. The surface dries very quickly. Glass and mirrors: Depending on the extent of soiling, use 1 ml to 5 ml alcohol cleaner per litre cleaning water.